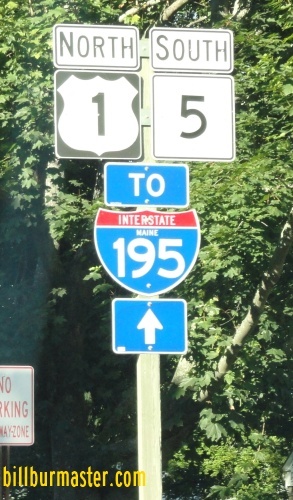 Interstate 195 is an east-west interstate spur at Saco. It runs about three miles. 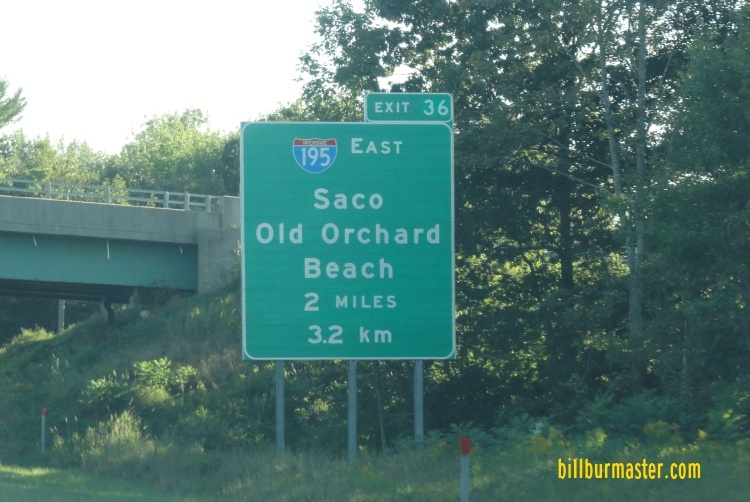 This provides access to the beach areas around Saco with out putting added congestion in the downtown area. 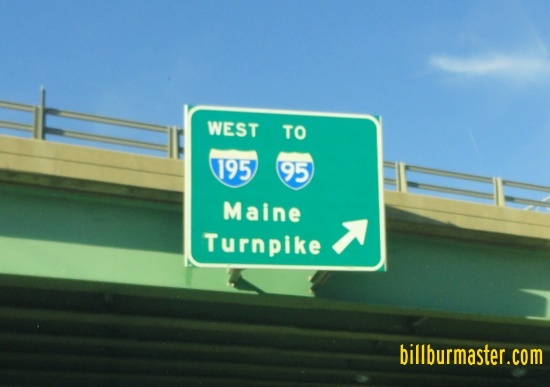 While in Maine, I-195 is not multi-plexed. 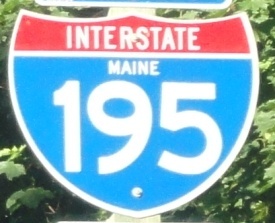 In Maine, Interstate 195 crosses the following interstate. 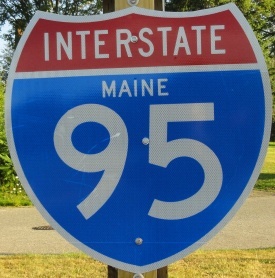 Interstate 95, (Maine Turnpike) at Saco. 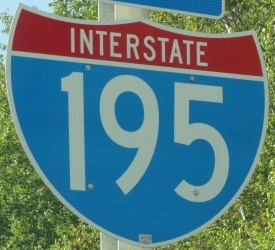 Info on the parent highway of I-195. 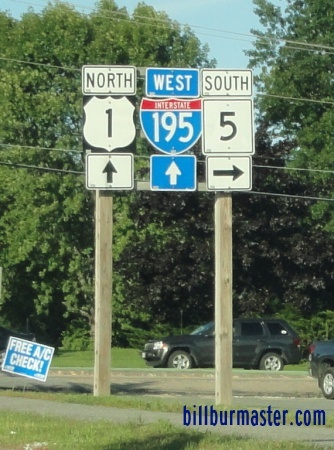 A guide marker on NB U.S. Rt. 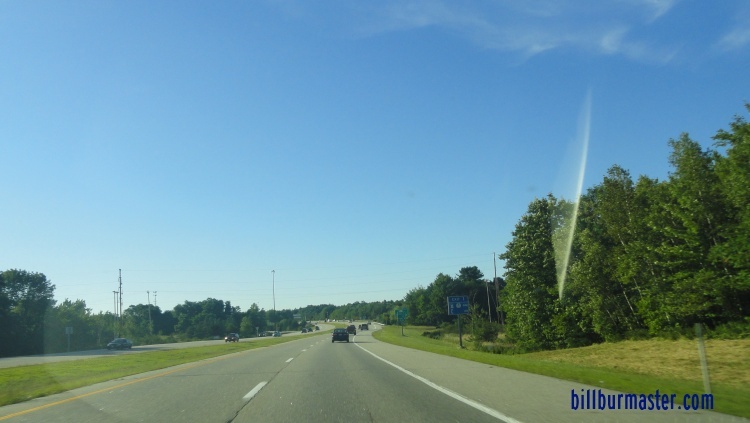 1/EB ME St Rt 5. 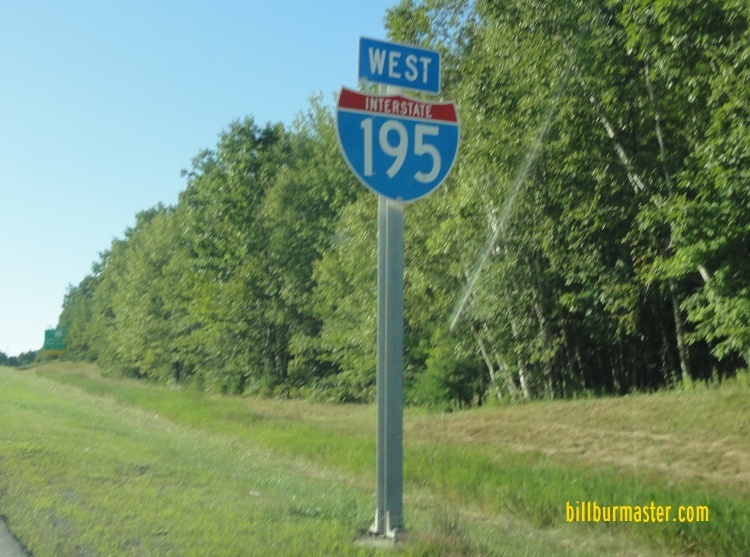 WB I-195 west of U.S. Rt. 1.